The best gift you can give your child is the knowledge of Tawheed, to know their Creator. Knowing Allah by His Names will help establish their roots and help them to attach to Allah out of love of His Perfection. 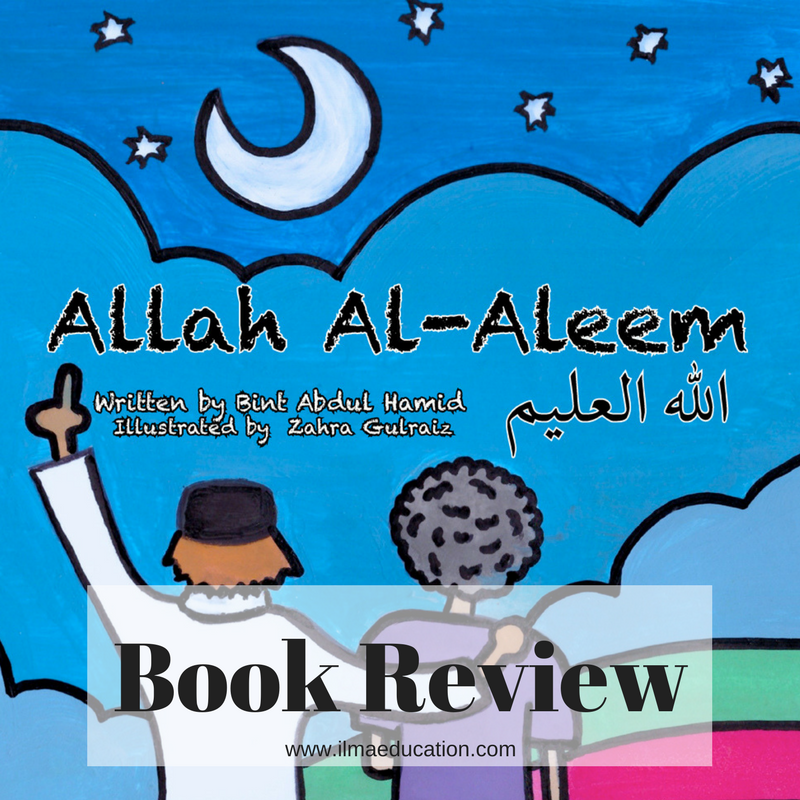 Allah Al Aleem is the perfect book to introduce young children to Allah's unlimited knowledge. It teaches children that Allah knows everything, from the creatures in the ground to the falling leaves to what your child's thinking and feeling and what will happen tomorrow. 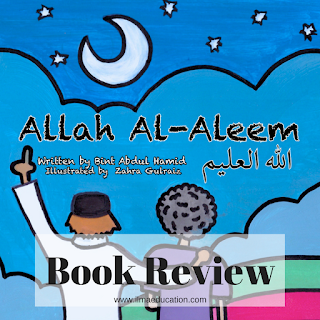 It takes the reader through various different scenarios, asking the question who, what, when and how then answering them with "Allah Al Aleem". What I love about it, apart from the bright bold colours, is that it's repetitive. Repeating Allah Al Aleem with every question. 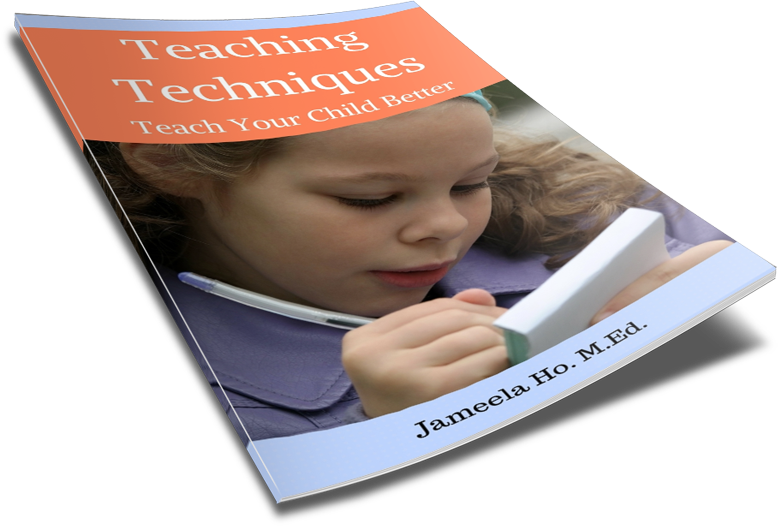 This is how young children learn, through repeated actions and words. If you read this book to your child at bedtime every night then inshaAllah, your child will grow up very conscious of the knowledge that Allah knows everything. Another great thing I love about this book is that it's in Arabic as well. Each sentence has the Arabic translation and because there is only a sentence to each page and each sentence is a simple sentence, the Arabic is easy to read and understand. Great for the beginner Arabic language learner (like me). This is a valuable book to add to your library as it's very important to teach your children about Allah.